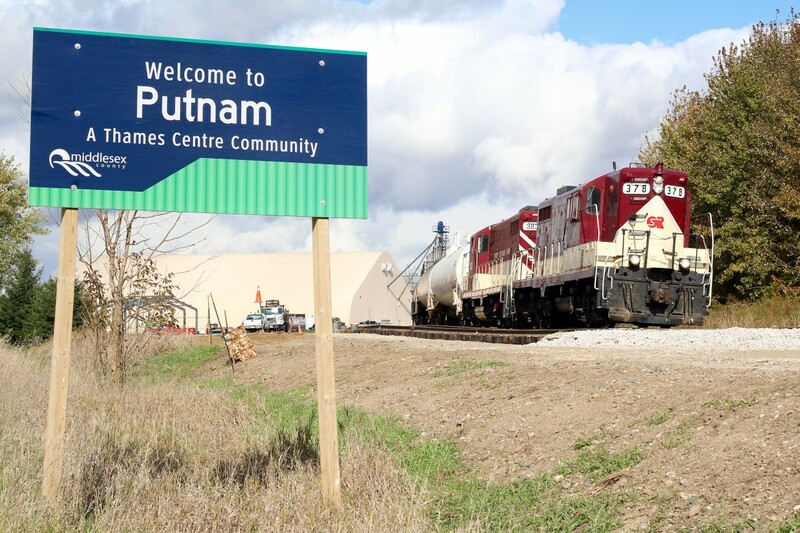 Railpictures.ca - Marcus W Stevens Photo: It appears business is booming at the potash facility in Putnam. Here we find OSR’s St. Thomas bound train working cars at the facility before proceeding to St. Thomas. In the foreground is construction of new service tracks as well as new buildings being built in the background. | Railpictures.ca – Canadian Railway Photography – photographie ferroviaire Canadienne. Copyright Notice: This image ©Marcus W Stevens all rights reserved. Caption: It appears business is booming at the potash facility in Putnam. Here we find OSR's St. Thomas bound train working cars at the facility before proceeding to St. Thomas. In the foreground is construction of new service tracks as well as new buildings being built in the background.